Let me start by saying that these pictures definitely do not do this bake justice! You know the saying ‘never judge a book by its cover’? Well it definitely applies to this recipe. The Paleo diet refers to how cavemen used to eat wayyyyy back in the day! So put simply; no grains, dairy or processed foods. 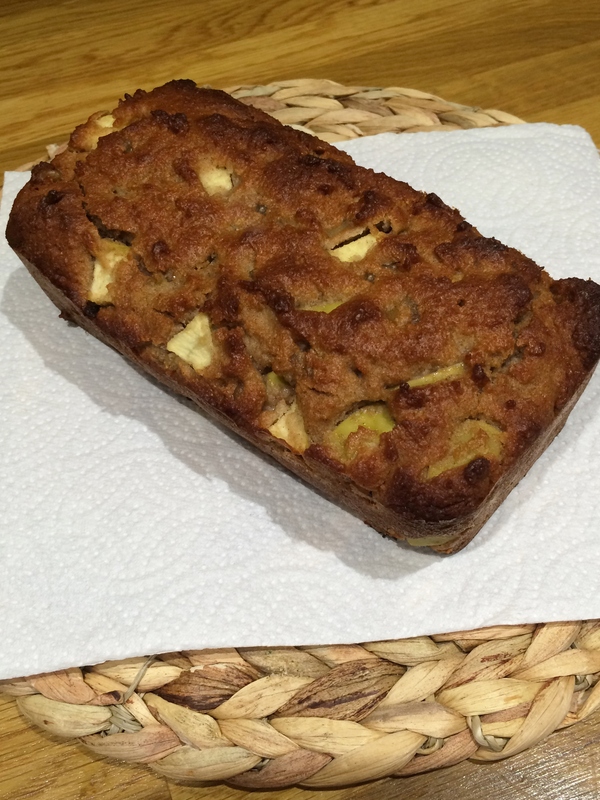 Therefore, you can eat this apple, cinnamon & walnut Paleo loaf completely guilt-free and nourish your body with healthy fats and protein. 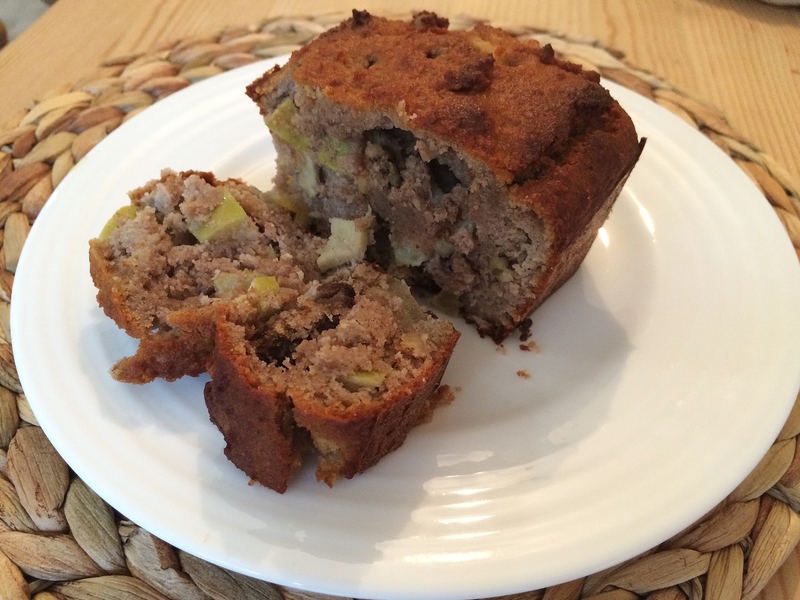 The apple and raw honey add a natural sweetness whilst the almond flour and chopped walnuts add a nutty flavour. Served warm it almost tastes like Tarte Tatin but it’s also just as delicious sliced cold with cashew butter as an afternoon snack. Preheat the oven to 180°C and line a 1lb loaf tin with greaseproof paper or use a silicone loaf tin. Mix all of the dry ingredients in a bowl (flours, cinnamon, baking soda and sea salt). In a separate bowl whisk together the wet ingredients (honey, eggs, coconut oil). Now pour the wet ingredients into the dry, add the chopped apple and walnuts and fold all of the ingredients together until fully combined. Transfer the mixture to your loaf tin and bake in the oven for 30-35 mins – until a toothpick inserted into the centre comes out clean. Leave your loaf to cool completely.